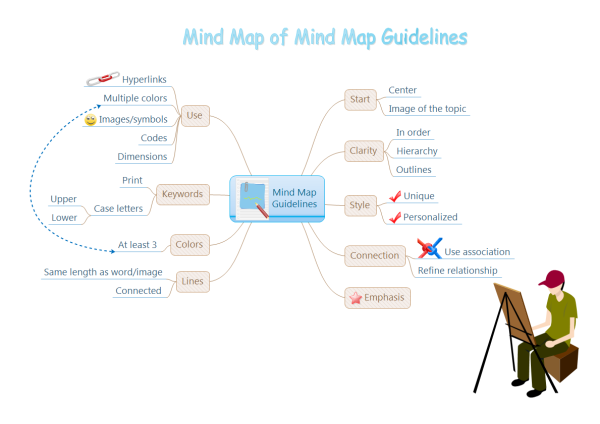 The mind map guidelines example drawn with the Edraw mind map software. With this easily customizable mind map guidelines template, users can represent any existing mind map guidelines. This eaxample shows some guidelines to create effective mind map. You can download and modify the mind map template based on your own needs. A template of mind maps for teachers is ready to use in vector format. It showcases mind map's benefits for teachers to the fullest extent. Discover why Edraw is the best software to create mind map guidelines. Try Edraw FREE.